Recycling isn’t enough when demand for aluminum is soaring. We have to use less of the stuff. Everybody knows that aluminum is recyclable; it is the most valuable thing in the bin. Everyone has heard the statistic that it takes 92 percent less energy to make a can out of recycled aluminum than it does to make one out of virgin aluminum. And everyone feels good about this; that is why recycling was invented, to make you feel good about consuming disposables. But only two-thirds of aluminum cans are actually recycled, and so a lot of virgin aluminum still has to be made, a lot of bauxite has to be mined and a lot of electricity has to be used to separate out the aluminum. In fact, because of increased demand for aluminum in cars and trucks, primary production of aluminum is skyrocketing. According to Richard Woodbury of the CBC, some brewers are refusing to buy into the beer can hype. When Henry Pedro co-founded Boxing Rock Brewing in Nova Scotia, he refused to use cans because of the environmental damage caused by bauxite mining and—because he is in Canada—he had access to refillable bottles. “Aluminum is an incredibly energy-intensive process,” Pedro says. That knowledge tipped the scales for Boxing Rock to use glass bottles. Those 341-millilitre glass bottles are known as something called industry-standard bottles which, once used, are sent to a facility where they’re stripped of their labels, washed and reused by participating breweries. Counsil said if people are looking to make their drinking decisions purely on environmental reasons, then industry-standard bottles or growlers are the way to go, but people have different reasons for making consumption choices. “Reused is always the best way to reduce impact. But the fact is people like convenience and not everyone is going to be bringing the bottles back to the depot, they’re not going to be reusing growlers, they’re going to be investing in what’s convenient and cheap for them,” he said. If we make decisions purely on environmental reasons, the answer is pretty clear: We have to do everything we can to reduce primary aluminum production, particularly now that the American Government has put a tariff on imported aluminum that is made using hydro-electric power. 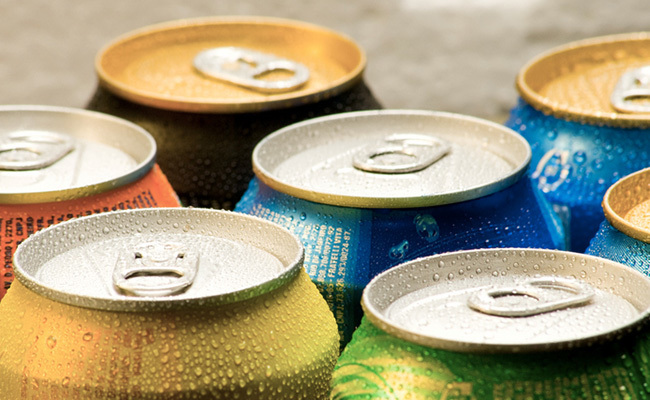 Single-use packaging like aluminum cans should be the first thing on our list to go. As Carl Zimring concluded in his book Aluminum Upcycled: sustainable design in historical perspective, recycling and even upcycling of aluminum doesn’t work if we keep having to mine more bauxite and extract more aluminum. As designers create attractive goods from aluminum, bauxite mines across the planet intensify their extraction of ore at lasting cost to the people, plants, animals, air, land and water of the local areas. Upcycling, absent a cap on primary material extraction, does not close industrial loops so much as it fuels environmental exploitation. Every can of pop or beer just compounds the problem. Recycling isn’t enough; we just have to use less of the stuff, starting with single-use packaging. no beer cans in this house BUT soda comes in the same cans??? ?